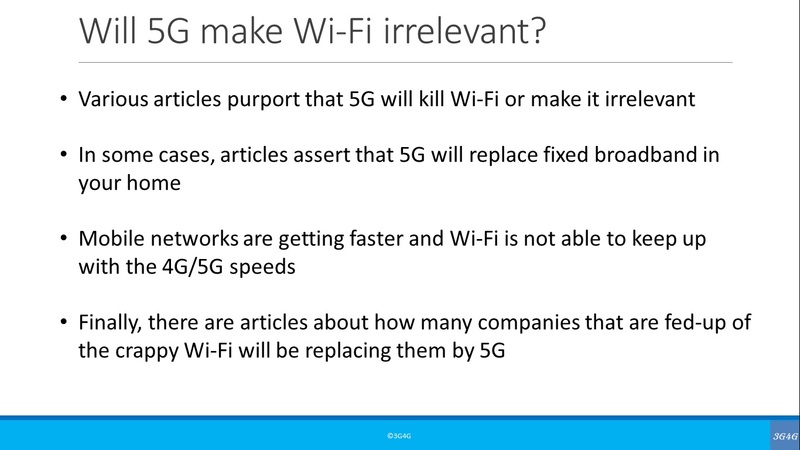 A short presentation and video looking at the fallacy of '5G will replace Wi-Fi' argument. Copyright ©2004-2019 3G4G.CO.UK. All rights reserved.